This grilled menu board for restaurant appears delicious in itself due to all the pictures of different dishes displayed on the board. 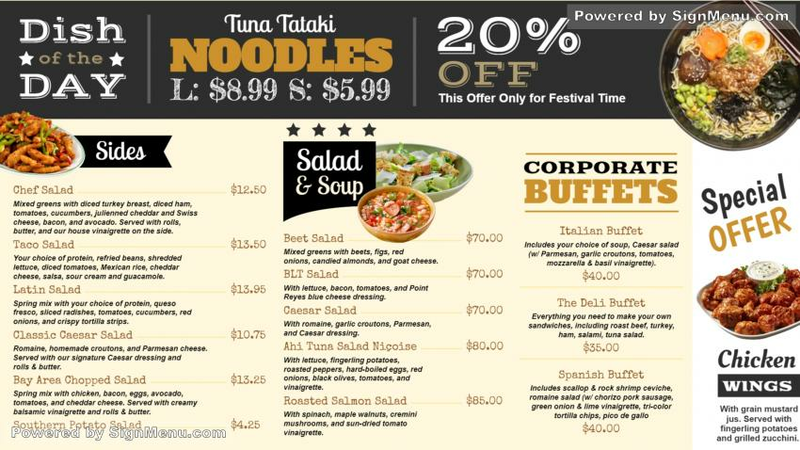 Customers will be definitely attracted to this special board with all the buffets and salad spread. Moreover, the discount offer appears right at the top of the board setting the perfect example of how to make a nice digital signage design.